This month at Linnie Blooms we were challenged to be patriotic in our designs. 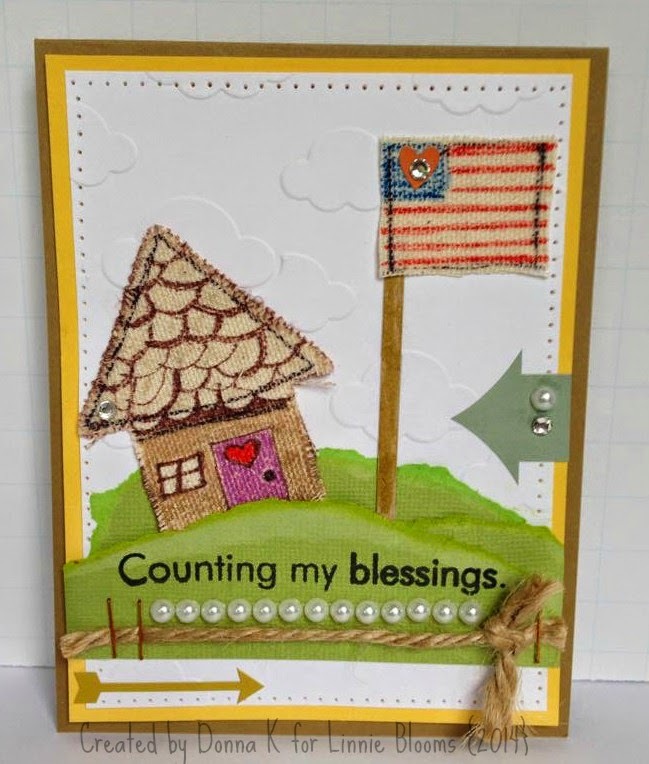 My card features a quaint little house and a sweet little flag in red, white and blue. and of course my creative family as well! Thanks for stopping in today. Such a sweet card! Love the your layout! We are very blessed in the USA! Thank you Kim! We are blessed indeed! Check out Owner, Linda Barutha's personal blog for even more inspiration! July Challenge Patriotism - HI SWEDEN! Christmas In July Mini Album!! Back to school teacher treat! This is a Happy Life!